Pixeden has released iPhone 5S Psd Vector Mockup, the new iPhone 5S vector mockup template is a fully-scalable vector shape iPhone 5S psd. Pixeden created a very detailed front view of the black, white and gold iPhone 5S with smart layers to showcase your web or iOS app with ease as a iPhone 5S mockup. 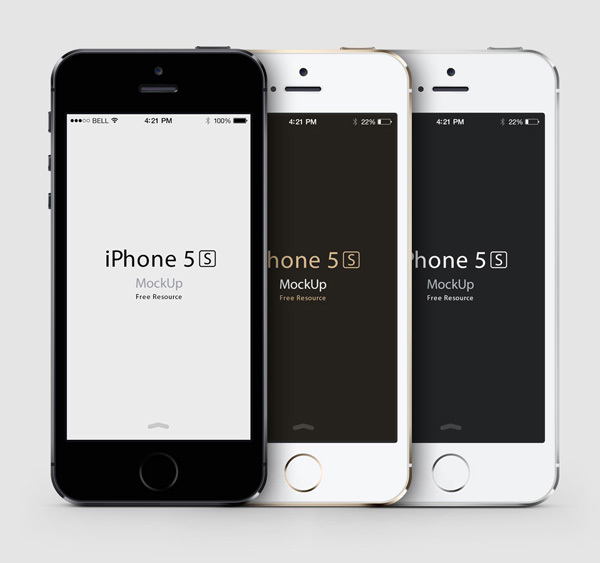 Download iPhone 5S Psd Vector Mockup from here.